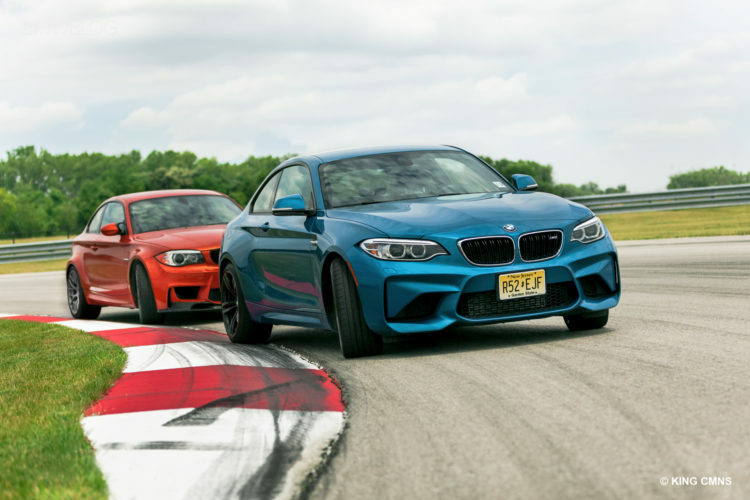 If you hadn’t already heard, the new BMW M2 is a good car. It’s the newest “Baby M” car, as Chris Harris calls it, and it is the cheapest M car on sale. However, most enthusiasts and journalists alike will agree that it’s the best-driving BMW currently on sale. With a short wheelbase, wide track, 365 hp and rear-wheel drive, the M2 is an absolute riot to drive. 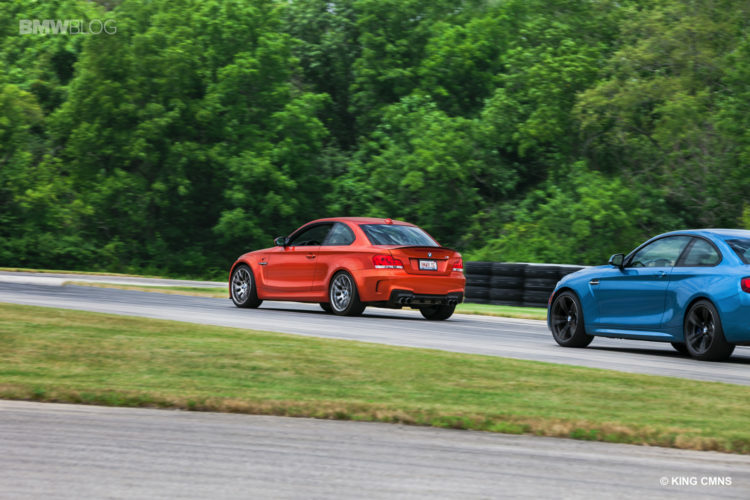 But its “Baby M” recipe was actually borrowed from another car, one that came before it — the BMW 1M Coupe. Back in 2011, BMW developed a proper M variant of its smallest car, the 1 Series, as a sort of weekend project. Using M car leftovers, BMW took an N54 engine and injected it with some steroids, borrowed the E92 M3‘s differential and beefier suspension and fitted it all to a wider-bodied 1 Series to create the 1M. When the BMW 1M first debuted, it was a revelation for BMW enthusiasts. It brought the sort of small, punchy and exciting cars BMW was always known for back to Bavaria. However, its production was very short lived and we’ve been wanting something similar ever since. 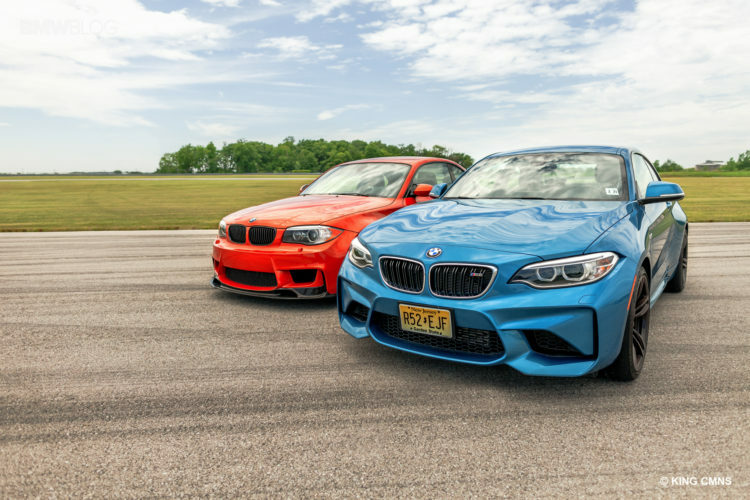 Thus, the BMW M2 was born. And while the M2 is excellent, is it good enough to take on its predecessor? Chris Harris brings both to Anglesey Circuit in Northern Wales to see which car is better. To be fair, Harris mentions that the 1M in question is actually his own. , Much like our own BMWBLOGer, Horatiu, Harris owns one, as we already knew, a few months back and has had some minor upgrades done to it, including an Akrapovic exhaust and Litchfield tune. So it’s not exactly the fairest of fights, but it’s still really close. In terms of outright performance, Harris says that the M2 is probably the better car. While his tuned 1M is actually a bit quicker in a rolling drag race, he claims the M2 would be quicker than an unmodified 1M. It’s also the better car to drive everyday and in normal driving, because of its more comfortable right and less twitchy behavior. However, Harris does say that the 1M is the better car to drive in the manner that these cars are meant to be driven. While the M2’s steering is great, the 1M’s steering is just flat out better. It’s meatier, heavier and far more communicative. It’s also a bit spikier and a bit scarier to drive, as its back end will snap out faster and easier, making it more exciting and challenging to drive, thus making it more rewarding. While Harris says that one day he’d like to own both cars, as they’re both fantastic, he’d choose the 1M if had to have just one…Which he does. However, he says that both cars, despite being turbocharged and not using proper M-developed engines, are proper M cars.